THERE ARE A NUMBER OF REASONS WHY WE TIE FLIES. 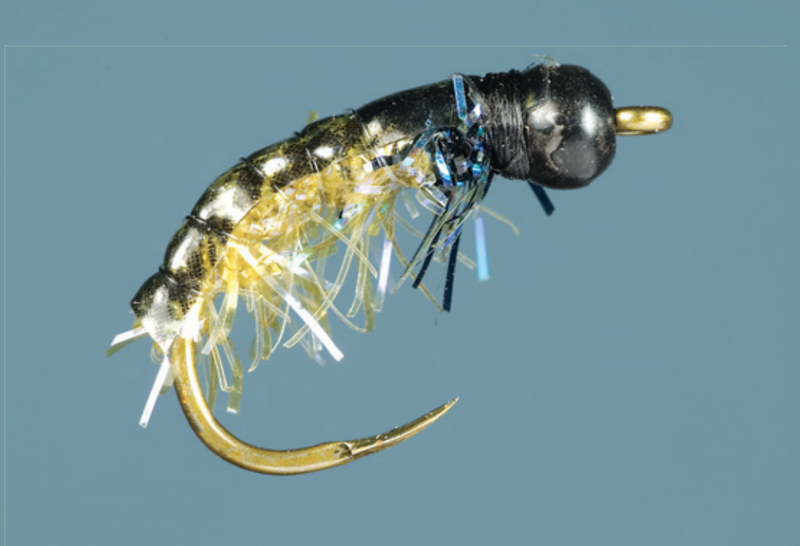 Some say fly tying is a form of relaxation, a hobby that holds our interests when we’re not able to visit our favorite waters; a harsh stretch of winter weather can keep even the biggest diehards indoors for several days. Sometimes family and work keep us away from our home rivers for longer than expected, and not all of us live within minutes of a river or stream, forcing us to travel far distances to fish. Whatever keeps you away from the water, you need another form of release, and this is where fly tying comes to the rescue. Hook: Tiemco TMC2499 SP-BL, sizes 10 to 6. Body: UV olive Micro Polar Chenille. Thorax: UV black Micro Polar Chenille. I hear that some fly fishers tie their own flies to save money. What a lie! I want to go on the record and say this to every new fly tier: Do not tie flies if you think you are going to save money. Rather than having a few extra dollars in your wallet, you will probably find your living space diminished, and you’ll receive an impressive credit card statement listing everything you purchased at the local fly shop. Some tiers might discipline themselves into buying only the essential ingredients for making a handful of patterns, but they are rare; most tiers, including myself, buy all the newest materials thinking we will make better fish-catching flies. In the end, we end up owning huge containers jam-packed with feathers, furs, and much more. Why do I tie flies? Because I want patterns that meet the exact fishing conditions I plan to tackle. 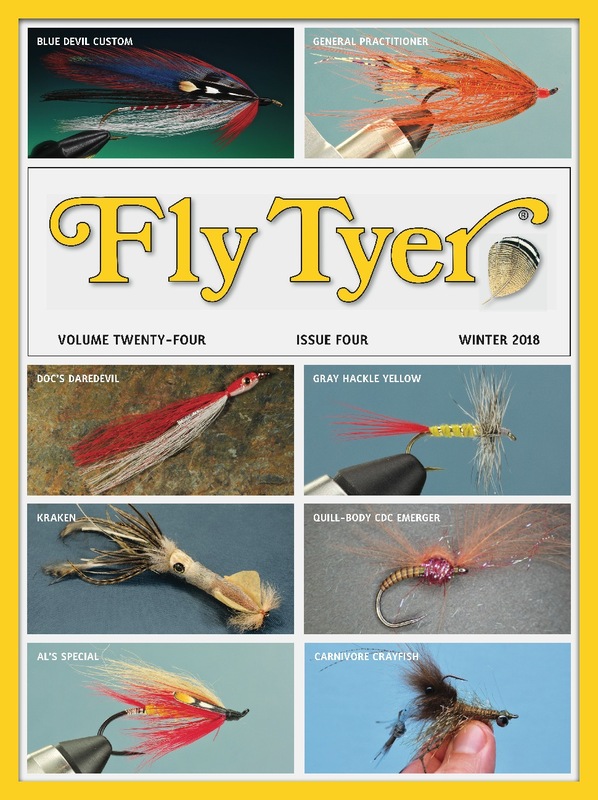 Working in a fly shop for the past several years, I have come to realize that most serious fly fishers tie their own flies, and most of the tiers I know are specialists. They know exactly what flies they want and how they want them, and this means they usually have to create these patterns themselves. 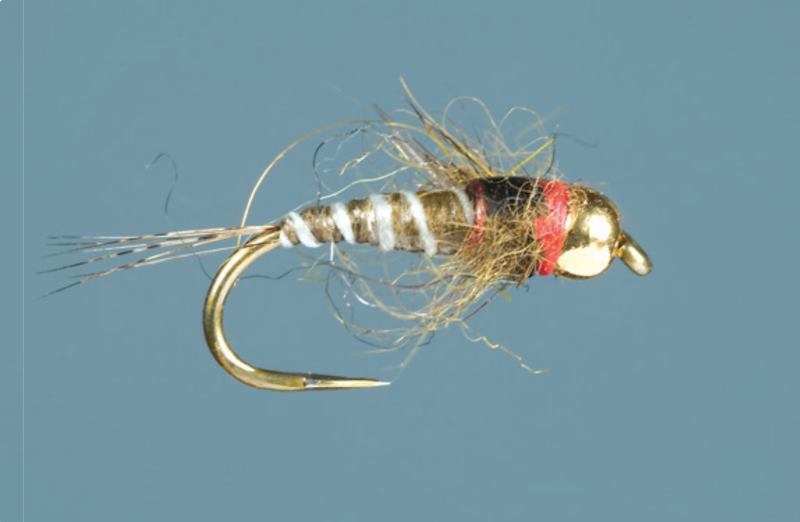 As a result, they gain confidence knowing their flies are specially designed for known stream conditions. Let me share some thoughts about designing better deceptive nymphs. You may not agree with my ideas, which I think are awesome: The purpose of this article is not to sell you on my way of thinking, but to get you thinking deeper about how you design your own patterns. I ask the following questions whenever I create a new pattern. Perhaps they will help sharpen your thinking the next time you sit at the vise to devise a fly to meet your specific needs. 1 – Am I Trying to Imitate a Nymph That Has Unique Physical Characteristics? If the answer to this is yes, then we need to build those features into our fly. In my opinion, however, we can imitate most major orders of aquatic insects—stoneflies, caddisflies, mayflies, and the like— using suggestive patterns. For example, the wide range of dyed colors of PheasantTail Nymphs can imitate many early- to late-season mayfly nymphs. Where I live in Central Pennsylvania, I use various colored Pheasant Tails to imitate blue-winged olives, sulfurs, March browns, and Hendricksons, to name just a few species of mayflies. While these nymphs vary in physical structure, I feel a similarly colored Pheasant-Tail Nymph is all I need to imitate these insects; I just don’t see anything that justifies using something more complicated. Call me old-fashioned, but I try to keep things simple at my fly tying bench and in my fly boxes. There are at least two Central Pennsylvania mayflies, however, that do require more imitative nymph patterns: the Eastern green drake and Isoncyhia. These two insects feature prominent gills that deserve attention when designing imitations. This doesn’t mean we should devote an extra 20 minutes to tying each fly, but there are some simple things we can do to create better imitations. Hook: Tiemco TMC3679 SP BL, sizes 18 o 12. Thread: Red 8/0 (70 denier). Body: Olive dun 6/0 (140 denier). Rib: White 6/0 (140 denier). Thorax: Dark olive SLF Squirrel Dubbing. Tail: Medium pardo coq de Leon. Wing case: Black Thin Skin. Coating: Sally Hansen Hard As Nails polish. The Isoncyhia, for example, is a long-bodied swimming mayfly nymph with very prominent gills on the sides of its abdomen. To match these features, I use a shorter-shank hook, such as the Tiemco TMC2488, and attach a longer marabou tail (a mix of dark brown and black) to create the appearance of a wiggling body. I also add a dark tungsten bead, dark dubbed thorax ribbed with black ostrich herl, and a collar of dark dun cul de canard. This combination of materials highlights the key features of the real Isoncyhia nymph—a strong swimmer with prominent gills—and allows the pattern to breathe when either dead-drifted or stripped through the water. We need to remember that trout key into the specifi c movements of the natural insects, and sometimes we need to build flies that are capable of displaying those unique characteristics. 2 – Will I Fish Heavy Pocket Water With This Fly? If the answer to this is yes, I add a flashback to the pattern. In his incredible book Presentation, Gary Borger writes that trout use the mirror of the water’s surface to spot food from a distance. For example, trout holding behind a large boulder use the surface mirror to identify potential food that is about to drift overhead. Building a flashback into the fly increases the pattern’s ability to reflect off the surface mirror and give fish a better opportunity to see my fly. This is especially important when I’m fishing a high-gradient river that contains large boulders and deep pocket water; in such areas, the water is flowing fast and trout have less time to determine whether to expend the energy to inhale the morsel. In my opinion, adding flash increases the mirror effect and provides trout with a more advanced warning. I also think the flash provides more encouragement to a fish to move through the turbulent water to inhale my fly. 3 – What Time of the Year Will I Use This Fly? For Example, Will I Fish for Wild Trout That Hold Tight to Structure During Terrestrial Season? Living in the Central Pennsylvania limestone region, I often fish for wary wild brown trout during the late-summer terrestrial season. 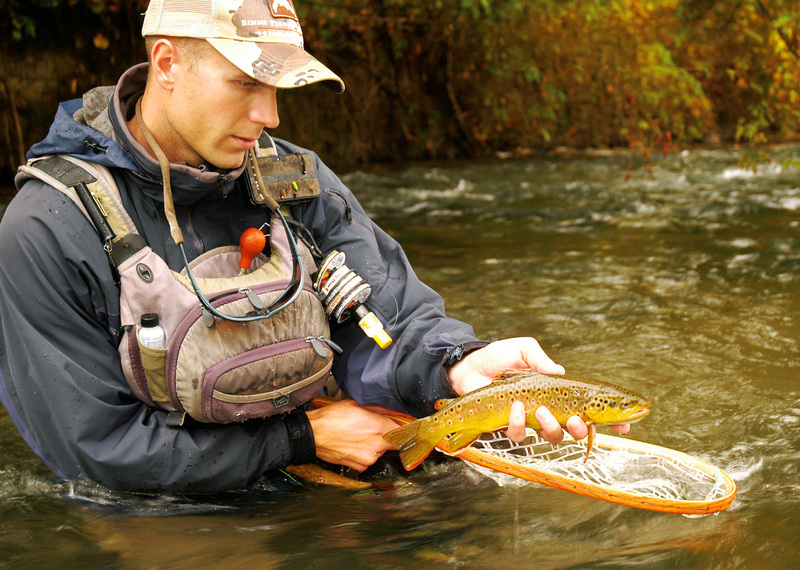 There are two river systems that contain healthy populations of wild browns that like to hold tight to cover. You will rarely see fish holding in open or unsecured areas, especially when the sun is high in the sky. Late summer is the period when a trout’s brain becomes geared toward terrestrials. As a result, we need to fish a pattern that creates a disturbance to gain the fish’s attention. The trout, hugging close to structure, might not always have a clear view of your fly and it will use its lateral line to sense when potential food falls onto the surface. This is why we need a pattern that creates a disturbance but doesn’t sink too fast. The average depth of the water is important. I often use this fishing tactic in water that is less than two feet deep, so I need a pattern that isn’t too heavily weighted but makes the maximum amount of disturbance. My favorite summer pattern is the Green Weenie. The standard Green Weenie is nothing more than fluorescent chenille wrapped on a size 14 or 12, 2X-long hook; sometimes I cover the shank with weighting wire before wrapping the chenille. It might sound like a prank gift, but it works! This Green Weenie falls flat on the water, creating a larger disturbance that gets the attention of any trout holding in cover. While the effectiveness of the Green Weenie might be limited to Central Pennsylvania, you can adapt the same technique to most sunken terrestrial imitations. For example, an epoxy-bodied ant imitation is ideal for fishing along grassy banks during terrestrial season; the epoxy, applied to the thread body, is all the weight this pattern requires. Remember, most terrestrials that fall into the water and sink under the surface ride higher in the water column, they don’t dredge the bottom.